One type of scam involves someone coming to your residence and trying to distract you in some way. Many times they say they are in the area working and can provide you the same type of service that they are providing your neighbors at a low cost. Past examples include, driveway sealing, tree trimming and yard work. They will either distract you in conversation or try to get you away from the residence by showing the work that needs to be done, Once you are away from the residence or distracted, an accomplice will then enter your residence and steal whatever they can find and carry. A similar scam involves the scam artist coming to your residence offering a service at a low cost. They will often quote a low price for service and take a deposit for future work, but then never show up to do the work. Another variation of this scam involves them doing or appearing to do the work and then giving you a bill for added and unexpected costs. If you have work to be done, only do business with a reputable contractor that you initiated contact with. If you are unsure, check with the BBB and online reviews. Do not hesitate to call the police if you have an unwanted or uninvited illegal solicitor on your property. Do not allow anyone into your residence. Do not give any money or payment to someone soliciting in the above mentioned manner. A youthful voice will call an elderly person and in a panicked voice pretend to be their grandchild. They go on to explain that they are in jail, hurt or in desperate need of money for some reason. The frantic nature of the call often catches the person off guard and they go into help mode rather than thinking rationally. They ask them to wire them money or give them account numbers to help them. Most know that this is a scam, but in the heat of the moment, our maternal or paternal instincts come out and we want to help and that is what they want. Use common sense, if you are in doubt, get contact information and investigate by calling other family members or the police department. Never give out account information over the phone and do not wire funds. Another scam involves the scammer hacking an email account and then sending an email to all the contacts on the hacked account. They may identify themselves and report that they are on vacation and lost everything including all their money and credit cards. they will ask you to wire them money to help them and promise to pay you back when they get home. They may send another type of email that says something to the effect of check this out with very little other information and include a link to a website. Be very cautious about clicking on links like that. The website may try to capture information from you or may contain a virus. Most people are good citizens with big and caring hearts. As a society, that's how we should be. The police department just wants you to be aware that there are those with ill intentions who will prey on your goodness. Don't fall victim to sob stories, think and do your due diligence before you act in situations that on the surface just don't seem right. Remember, time is on your side. They are very few instances that require an immediate action. Think about it, ask for advice and act with what your head tells you to do, not your heart. Scammers will often set up fake websites offering great discounts on popular merchandise in order to obtain your personal information. The sites may pop up in engine searches or you may receive an email advertisement with a link to the site. As mentioned in a previous "Scam Corner" in the Brecksville Bulletin, do not open or click on links from unfamiliar emails. Never input your personal information into a website and look for reviews or warnings. Contact the Better Business Bureau or other consumer agencies to inquire about the legitimacy of the site. Before you enter information, make sure the site is secure, the URL should have a lock and start with https to indicate it is a secure site. Some scammers attack the purchasing process, while others take advantage of the delivery process. Thieves will drive around looking for opportunities to seal packages that have been left on doorsteps. Keep track of all expected package deliveries and track them with the provided tracking number so you know when they are expected to arrive. If possible, have deliveries made to locations that normally have someone present during delivery hours such as place of employment, a neighbor or relatives house. If the carrier provides a local pickup area, make arrangements to pick the package up there. Scammers will try to steal your identity and file a false tax return in your name so they can collect the refund check. You can help prevent this by filing early. Shred all documents that are no longer needed that contain personal information. 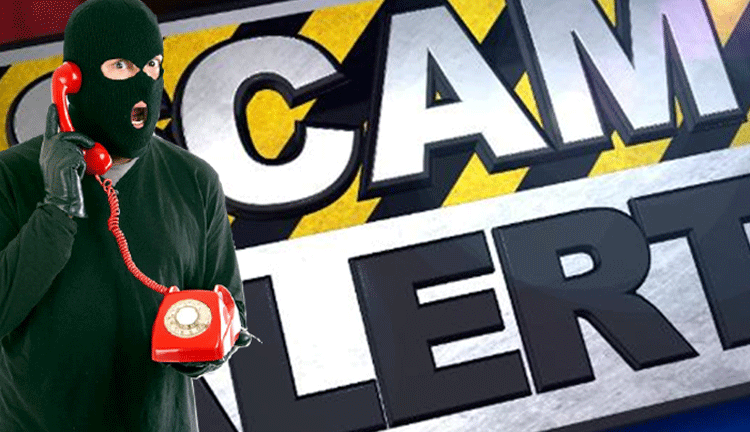 Scammers will call you on the phone claiming to be the IRS. They will tell you that you owe them money and will come arrest you immediately if you do not pay. First of all, the IRS does not do business like that. In most cases the person calling becomes irate and yells adding to the pressure. Do not five out any personal information over the phone. Hang up the phone and do not engage them in conversation. If you are concerned about the legitimacy of the phone call, get a name and legitimate call back number. At that point they will probably hang up on you. If you are a victim of a scam, notify Brecksville police or the agency whose name the scam was perpetrated under. Unfortunately because many of these scams are done outside the United States it is difficult to find the perpetrator and prosecute. It is good however to gather intelligence on these scams and publicize them to the community to lessen the victim pool.